Works to undergird the missionary board by promoting, inspiring, and facilitating spiritual growth of women according to the word of God. 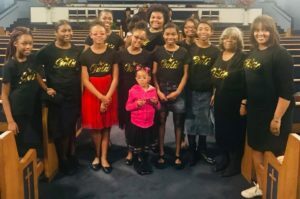 The Mission of G.O.L.D is to teach, train, equip, and encourage our young ladies to become disciplined & faithful to God, using their gifts and talents to always love and serve others. We are devoted to strengthen personal and social relationships building strong spiritual leaders, through biblical teaching that can be applied to everyday life. This group will meet monthly.